Its time. All of the toxins, nuclear gasses, gasoline, poisons, and contanminated air has finally gotted to Chibi's brain. It was bound to happen sometime, so here is the topic. Chibi paced back and forth in her cave back at the firewing kingdom. She spoke to herself. "How will I do it? How will I do it? It will be hard to kill such a large dragon as him. I am a trainee, and I am already strong, but not strong enough. I need to ambush it, attack it, kill it. But how?" She paced back and forth among her cave again, then ploped into a pile of ashes. (Totally one of the ones that can handle such insanity.) Orinxados was napping out on the edge of the EarthWing's territory. He suddenly woke up to a cool breeze. He didn't really mind sleeping outside, but he didn't really have a den, either, despite being so old. He got up and started walking out of his territory, looking for a good place to curl up and relax. Want to learn more about me? Or, at least, my character? Go check me/him/us out! Location : Laying in the sun, waiting for some friendlies. Pulse had nothing important to do that day, so she decided to fly aimlessly around Pyyria. With nothing to do, and no one to hang out with, her free time left her with all the thoughts she can think of. While thinking of what to actually do, Pulsie had accidentally crossed over onto another tribes territory. She hadn't even realized as the environment grew much warmer around her. She let her thoughts filled up so much of her mind right now, she didn't even realize that she was about to hit a Volcano...Until it happened. Chibi quickly looked out her cave as she noticed a dragon tumbling down the volcano witch her cave was in. She looked at them as they tumbled down. Chibi spoke to herself. "I'll go help her.She might make a good firewing, once to replace Flirty." She flew down to go help the dragon, but first draged them into her larger den that she owned at the foot of the mountain. Orinxados couldn't find any good shelter. Then he thought for a few moments. The FireWing territory was nice and warm. There were no wars going on. They'd be accepting a Wise One, even if he was from another tribe, right? Orinxados started crossing into FireWing territory. He kept a cheery smile, even though on the inside, he was a little afraid of harsh confrontation. He still held his head high. Being the Vulcan of the firewings...was not what he expected much. All he did was fix this, make that, blah blah, blah blah, and the list continued on even then! Calemvir was sulking on a ridge in the firewing kingdom, trying to get some time alone, when he noticed events happening not that far away from him. He saw a larger dragon foolishly fly into a volcano, tumbled down and most likely injured, then a small dragon, around his size, most likely a trainee, drag the injured dragon to a cave. In the distance he saw yet again another dragon, interesting, two outsiders crossing the boundary, and one is a Earthwing from the direction the other dragon came from. Should he investigate, or just watch from his spot? He decided to fly over and see what this trainee got themselves into, it was part of his job, he guessed as he leaped and started gliding over slowly. His tiny form barely visible to any in the distance. Location : Searching for a perfect stronghold. Chibi began to plop herbs onto the dragons wouds, and put bandages on top of them. As soon as the drgon woke up she would probaly kick them out. After she finished wrapping up the dragon and placing the herbs, she went out to go get some food really quick. Pulse caught a slight glimpse of a small dragon rush out after she had tend to her wounds. That was very kind of her, especially for a Firewing, however, all she needed was energy. Though, perhaps she would have to wait. Trying to stand up, Pulsie glanced around the room. There was an odd scent in the air but it might have just been from the iron in her blood. Anyway, she looked to the door where Chibi had went through. Pulsar thought about following, but if she did, there was more of a risk of her getting burned. So she waited patiently inside. Hoping no one would find and kill her. Pulsie's eyes had widened as an unfamiliar dragon entered and told her to rest. She didn't know whether or not she should, as he did not look like a regular Firewing. Though, he did look like a friendly kind. She nodded and very quietly whispered, "Um, who may you be?" Pulsar tried not to seem as weak as she may have been, she now just really hoped to get back to the Lightwings. "I am Orinxados. I am the Wise One of the EarthWings. I came here because I was a little cold, and I happened to discover you...If you don't mind me asking...Who are you? Why have you come here? And do you think you're going to be alright?" Orin looked genuinely worried for the little LightWing. Orinxados was about to pet Pulse...Till he stopped himself. He didn't want to harm Pulse anymore than she already was. He turned to the entrance, waiting for the white dragon to come back. Pulse tried not to stare at Orinxados's eyes as he asked his questions, "Well, I am Pulse of the Lightwings. You see, I didn't mean to get in the Firewing territory. I was just flying around and I crashed into a...um...a fiery mountain, which was painful as I rolled down the side. I don't think I can even fly at the moment..." Pulsar sighed, "And no. I don't think I will feel better until I do a certain something. Though, I am not sure you would like to contribute to my health...It would hurt you..." She muttered the last parts. She honestly didn't want to harm this kind old dragon, but it did depend if he truly cared for her health. Orinxados turned back around and looked down at the LightWing. "I am very sorry for your incident...How may I help you? I will do anything...As long as it doesn't cost my life...." Orinxados looked pained. "I don't like seeing others in pain and misery...I'd like to help them to the best of my abilities..."
Chibi came back with a cow that she had been constantly throwing at catching to get it here faster. "Finally you're awake. I got you some food. Don't worry, eat up." She told the dragon as she checked to see if the bandages were still in tact. "Well, all of your bandages are still on. I think if you eat this and get a little rest you will be ready to fly out." She told Pulse with a kind face and smile. She turned to Orin. "Oh, hello Orin. What brings you here today? Did you come to visit? or did you jest walk to close to the icewings border? Its ok if so, I will tell the Firewing's that your visiting, or have a message to deliver." Chibi cheered to the dragon being glad that she had some nice visotors that respected her. Orinxados smiled, blushing a little. "Oh, EarthWing territory had a little breeze today, so I thought I might come over and warm up...That's when I discovered your little friend here. Thank you for taking her in. You're so kind, Chibi." Orinxados softly patted Chibi's head. "Please, I bear no messages or anything. I only came here to relax. And it does seem like a great place to relax, after all, my friend is here~" Orinxados chimed. Then he thought for a second. "I can't let you have this good deed go unrewarded. Want me to get you anything, Chibi?" As he got closer, he noticed the small white dragon return with a cow...a cow? Well, this trainee was full of surprises to him, better make his entrance then. He flew closer and landed just outside of the cave, "Well, what do we have here trainee? A injured lightwing I see and a earthwing." He said in a tone of voice for a superior, even though he was around the same size as the white dragon, Chibi. "You better have a good explanation for this." He demanded of Chibi. I conquered an ENTIRE continent with only my foreclaws and head! With seven siblings that could try and murder in my sleep if they had the chance to as well! So taking over this new land? Hah! It will be childs play, EVEN if my other siblings try to stop me, I will kill all who get in my way! Colorful rant by Calemvir, Firewing Vulcan. Pulse was going to answer Orin but Chibi walked in and gave her some food. She wanted to speak to Orinxados about her health, same with Chibi, however, now a very seemingly aggressive dragon appeared. She couldn't say anything, for she was feeling lightheaded as there were too many things going on. Pulse then thought to give the kill to the red dragon as a peace offering, so that he wouldn't kill her, knowing that he may torch her up. Orinxados took to Chibi's side. "It's not her fault. A LightWing was flying innocently and mistakenly crashed into the mountain we stand upon. Chibi dragged her in here to help heal her wounds. She went out to hunt and get food for this harmed dragoness. That is when I walked in. I came from EarthWing territory to get some warmth and comfort. I am now here to aid this LightWing, and speak to Chibi as friends we are." Orinxados stared into Calemvir's eyes. Despite Orin's kind and respectful appearance to others, Calemvir had challenged Orin's friend, and he did not want Chibi to face this fight alone. Orin's eyes were filled with seriousness. Orin only broke gaze to check on the LightWing. "She is hurting. Are you going to go and file a report on us? Or are you going to help us?" Orin's eyes narrowed. Chibi spoke to the Firewing. "I have a visitor and an injured dragon. If I just left it here to die it would deeply effect the Tribe's reputation, and it would effect Shadowfire's reputation. Also, whats so bad about having a visitor? He is old and can do nothing to harm us." She told him with honesty, though she did help the lightwing for more then reputation. When the old dragon said he was going to file a report, he just laughed. "A report?! Bwhahahahahahaha! I could care less on whats happening, let alone file a report!" He kept on laughing and finally stopped. "Oh, that was a nice one old timer. I may be a Vulcan, but all I need to worry about is armor and weapons, not affairs like this. 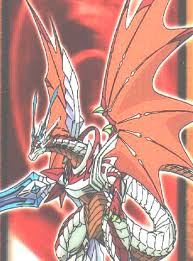 Besides...I know a dragon who lives in Earthwing territory anyway, so I have no quarrel with you, or that lightwing anyway." He said bluntly, it was true, he was a Firewing, but he did not care much of their tribe affairs, all he was supposed to do is make and shape metal, thats it. Orinxados sighed in relief. His expression changed from stern to kind. "Sorry for accusing you." Orinxados started feeling like the bad guy. He walked over and pushed the cow closer to the LightWing. "Go on and eat....And, you had a way for me to help?" Orinxados even ripped off a piece of meat with his teeth and set it infront of the LightWing's maw. Chibi looked at him. "While she rest can you massage her musscles? They are tense and it will take them longer to heal like that. If you do as I say it should relax the musscles." She told orin, then made a quick comment to the Vulcan. "Here, have this metal and this never happened." She told him while throwing him a shiny piece of metal that was lodged in her when she first crashed in. It came from her dimension, and was non existant in Pyyria. Pulse smiled as Orin helped her try to eat, though she just couldn't. Eating was the last thing on her mind at the moment...All she really needed was to gain some life energy so that she could heal properly. "Thanks Orin, but I cant." She gazed down at the food and quickly glanced up as Chibi told Orinxados to massage her, "Also, do not touch me. My wings are very hot at the moment which can give you a burn..." Pulsie explained, with a sorry expression. Orinxados nodded. He looked at Pulse's body. It was filled with wounds. Orin felt reluctant to even try to touch the LightWing....He took a deep breath, sighed, and walked over to the LightWing. Then she spoke. "I do not mind if I get burnt, as long as your health gets better..." Orinxados manned up and carefully dug his paws into the LightWing's scales on her body. He was careful to avoid every wound and bandage, and not get too close to her scorching wings. But he still managed to dive in his claws and softly and kindly stretched the muscles. "Don't be afraid to scream if I accidently hurt you...I don't mean to cause any harm..."